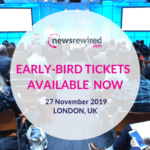 The next news:rewired digital journalism conference will take place on Thursday 20 February – offering another thought-provoking day of digital journalism innovation and inspiration, with industry case studies and practical tips for newsrooms. 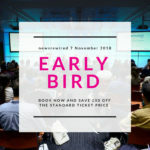 The one-day event will return to MSN UK’s office in Victoria, London, and feature a mix of panel discussion, presentation-style sessions and shorter workshops focusing in on best practice application of specific skills or tools. Tickets are available for £130 +VAT. We are also running an extended version of news:rewired for the first time, with the option of also attending an additional half-day of digital journalism training on the following day, Friday 21 February. 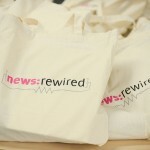 With our ‘news:rewired plus’ tickets, you can not only access the news:rewired conference on Thursday 20 February, but also attend a three-hour, hands-on workshop on Friday 21 February, enabling you to go more in-depth into one of three subjects, and as part of a smaller group, led by an expert trainer in the field. news:rewired+ tickets are available for £220 +VAT.